A polished surface of a fragment of the Dar Al Gani carbonaceous chondrite, the third largest ever found. Found in Libya, by the Pelisson Bros, SaharaMet. 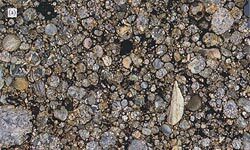 Note: when enlarged, the presence of small 1mm chondrules of silicates and the specks of pure native Nickel-Iron. 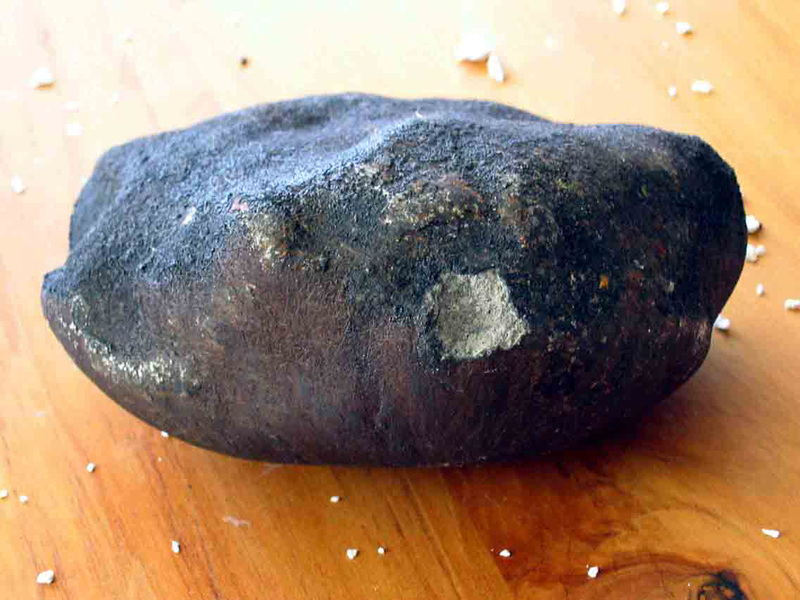 These are regarded as the most primitive of meteorites. Most of our knowledge of the outer universe and of our own sun comes from spectrographic analysis of optical, radio and radar wavelength emissions. We have first hand data from a few hundred samples collected from the moon during the Apollo "flights" and some automated analysis in situ of the moon and of Mars. For the rest of the solar system we have to rely on meteorites, small fragments of rock ejected from a planetary surface when impacted by a larger primary meteorite. Incredibly, after a few million years floating about in inner space, some of these chunks come within the Earths gravitational field and crash onto the surface, some surviving almost intact. The collection of 27,500 new meteorite fragments lying on the ice of Antarctica and a resurgence of collecting from desert areas where they are both better preserved and more visible, has greatly increased our knowledge of the composition of both some of the other planets and of the possible primary material of which the planets are formed. 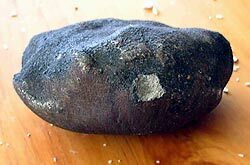 The Ellerslie Meteorite, which fell through the roof of a house in South Auckland in May, 2004. It was chipped where it hit the iron roof. It LOOKs like a Eucrite. Meteorites range in composition from pure nickel-iron to pure silicate though the latter also usually contain 20-30% of FeO. Of the silicate, "basaltic" or "stony" meteorites a special group are the "Chondrites" formed of a conglomerate of small spherules of primary atomic accretions now containing mainly olivine, enstatite or rarely plagioclase microlites in a matrix which can vary from similar silicate material to included droplets pure metallic iron. The carbonaceous chondrites include complex carbon molecules which may have been the origin of life forms. 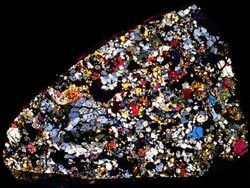 For the descriptions, pix, thin sections and intelligent discussion on meteorites, many commercial web sites are outstanding. We especially recommend M Richard et Roland Pelisson of www.SaharaMet.com and the New England Meteorite Services at www.Meteorlab.com. Here we only look at the chemistry which no other site appears to. Variation Diagram for 1856 stony meteorites from the MetBase.de compilation which now greatly exceeds the amount of data on meteorites in either GEOKEM or the Smithsonian File. The main bulk of compositions is centred on the chondrites at 22 - 26% FeO approx. With increasing iron these grade upwards into the pallasites, siderites and finally into the irons. Part of the range of iron is artificial due to inclusion of water-rich chondrites summing in some cases to <70%, to inclusion of "mafic patches" and isolated chondrules together with highly variable ways of recording iron. On the left are some representatives of more evolved planetary material. The high alumina group at ~5% MgO and 28-30% Al2O3 are lunar anorthositic breccias, with some scattered representatives of high iron Mare basalts. The cluster of ~17-20% FeO at ~7% MgO are the eucrites assumed to be derived from the planetoid Vesta. With decreasing CaO they grade through the Howardites to the orthopyronene-rich diogenites. Less evolved than the eucrites are the Martian meteorites with an average at 13.6% MgO of 6.5% Al2O3, 19.2% FeO, 8.4% CaO and 1.1% Na2O. Only Lunar and Martian rocks and achondritic meteorites seems to have undergone partial melting as they show several different ratios of La/Sm, Zr/Nb etc. The chondrites and HED ( ie, the howardites, eucrites and diogenites) show little chemical change in residual element ratios such as La/Lu or Zr/Nb throughout though the HEDs can be very coarse grained. Any fractional crystalisation within the HEDs must have involved only plagioclase, olivine, orthopyroxene which do not affect these ratios, however there remain many minor groups to be looked at in detail, and the amount of data is extremely minimal for some types of meteorite. High Fe Chondrite from Dar al Gani. 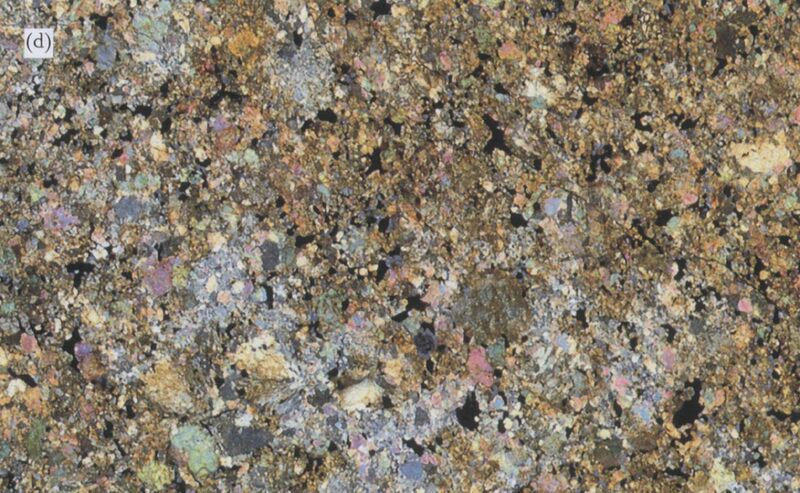 4cm wide, it shows numerous varieties of chondrules in a matrix of metal flakes. Once we have excluded the lunar meteorites, the Martian SNCs, the HEDs and an array of magnesian cumulate achondrites with a high percentage of clinoenstatite, Opx, clinopyroxene and olivine including the aubrites, angrites, ureilites and others which are often polymict breccias released from deep in a planetoid by impact, we are left with little but chondrites. The chondrites are an interesting group. The Dar al Ghani carbonaceous chondrite shown above, shows in detail what is thought to be the solar system as it was within days of creation. Tightly packed little conglomerations of atoms, still hot enough to weld together and to grow internal high temperature crystals a few hundred microns long, a process quickly brought to a halt after no more than days by chilling. Some chondrules are pea-sized, but most are much smaller. Some seem to be pure enstatite or clinoenstatite, some mainly olivine, and some almost pure anorthite, some include droplets of metallic iron. Olivines and OPX may be in optical continuity showing barred or octohedral or sector zoned characteristics. Whether the origin of the solar system lay in a binary star, one member of which went nova, or whether a passing body dragged a chunk of matter off the surface of the sun after it for a time, or whether some odd internal explosion sent out a jet of material a few hundred million miles into space, does not really matter. Once ejected the solar material of whatever origin was slowed equally by gravity, but the initial explosion may have give greater impetus to the light elements. So it occurs that the most far distant planets have all the gases, H + He, and we can guess, light elements such as Li, Be, B while the inner ones are much heavier. S got as far as Jupiter but Neptune seems to be mainly hydrogen. Mercury has the highest specific gravity, it is assumed to have a very high iron content, but it will be interesting to find out how much Th, U, Pb, and Ta it contains. Chondrites can come as friable or welded aggregates of chondrules, with barred, radiating, sector zoned etc content of olivine or orthopyroxene, these appear to have more than one phase present. 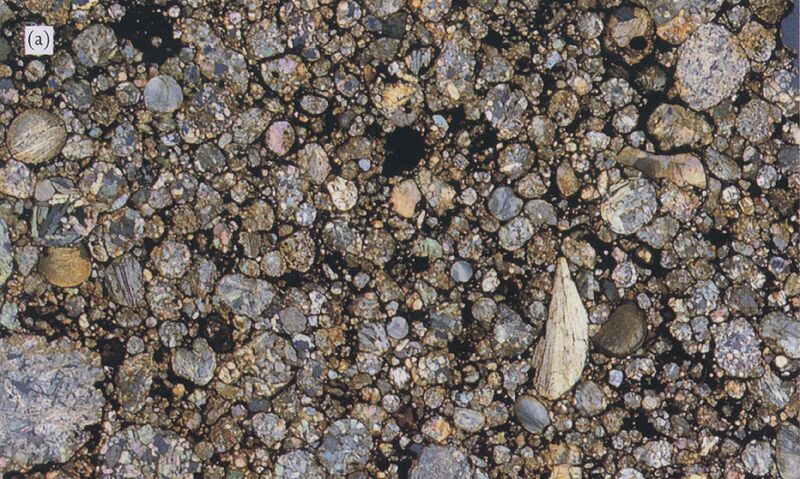 Apparently depending on the time the high temperature was maintained, the chondrule contents may have gone on forming and broken through the chondrite droplet boundaries, so the chondrules become less and less distinct, grading into a fine-grained holocrystalline rock. A more crystallised chondrite with less distinct boundaries. A holocrystalline chondrites with chondrules no longer distinguishable. This would be an excellent sample to do modal counts of the olivine-orthopyroxene content, but this does not seem to have been done. It has also been speculated that the Suns heat drove the gasses to the outer planets but this does not seem likely. The hot gaseous plasma must have been concentrated, were it spread out into a thin rotating sheet as seen in the rings of Saturn, the plasma would quickly chill and amalgamation and welding of chondrules into large masses would not be possible. So we can assume a fairly compact jet or a torus between suns such as astromomers see in distant binary stars. Far from the sun, local excess mass attracted material from further out and also from closer in travelling at different rotational speeds, and the accretionary planetoids began rotating from the beginning, all in the same plane and all with their spin axes normal to the plane of the ecliptic. In the main they still are though some have had their orbits modified by local moons etc, but how Uranus ended up rotating flat in the plane of the ecliptic is anyones guess. We can guess that the planetoids and planets did not accrete on the whole by the impact of great masses of meteorite but by the constant inpouring and compaction of the atomic accretions we now see as chondrules, mainly cooled and solidified into cosmic dust either isolated or in loose conglomerations, chondrules which were on the outer regions of the original jet or torus and did not weld to others to form chondrite. Above a critical mass the internal temperature of an accreting planetoid rises to above 1000º C and the chondrule crystallites go on forming, growing larger, extending beyond their former limits and becoming rocks like the diogenites. Partial melting and the formation of lavas has taken place in both the moon and Mars, probably in all the larger planetary bodies, only the eucrites of Vesta seem to have differentiated but still retained the parental chondritic La/Sm and Zr/Nb fingerprints, probably because the formation Opx and plagioclases does not affect the ratio of residual elements such as La/Sm. Chondrules still fall as micrometeorites it seems and efforts are been made to capture micrometeorites to see if they do indeed represent our original atomic plasma. Are any of the planetoids formed of pure chondrite? Possibly Vesta. The dark moon Phoebe appears to be mainly ice with a superficial cover of dark rock material. The initial planetary formation might have been relatively painless but a billion years or so later one or several unfortunate collisions between a planet and a large planetoid caused very large impactite chunks miles across to be fragmented many of which accreted to larger bodies, of which we can still see the effect in the lunar maria. Did similar sized meteorites impact Earth or Mars? We can see little remaining evidence of it, though all planets have been bombarded by meteorites of modest size in this later era at about 3.7Byr. A few largish meteorites such as Manicouagan or Gosse's Bluff have left scars on the Earths surface. The chondritites have been subdivided into more than a hundred sub-types based on their petrography. This is not reflected in their chemistry. The major differences lie in the variation in iron content and in their oxidation state. Some may have 25  35% FeO, and less than 1% metallic Fe, others may have high metallic iron and low FeO. The most reduced are the enstatite chondrites where the main mineral within the chondrules is very magnesian enstatite or clinoenstatite and the total FeO may be <5% while metallic iron may be 20-30%. With increasing iron we have the L (low iron) chondrites, the Carbonaceous chondrites which average about 24% FeO, and the H-Type high iron chondrites which may have as much as 35%. The data include a great many oddities, including fusion crusts which in some cases have elevated iron, dark inclusions which usually have elevated REE and these have been rejected where possible. Many people seem to have analysed fusion crusts by EMP as a convenient ready-made glass, but a few minutes or hours in passage through the Earths atmosphere at white hot temperatures appears in some cases to have greatly modified their composition. But if we reject ALL analyses of fusion crusts, there will sometimes be little data left! Total FeO/MgO for 3000 chondrites, showing general negative relationship. Small sampling and fusion-crust analyses may be responsible for much of the scatter. It seems the total iron (= FeO + FeS + Fe(Met) is more meaningful than FeO only which is dependent on the amount of oxygen present. Carbonaceous chondrites of high water content tail to the left. The REE vs La for all chondrites. Note how closely they compare to the HEDs and to average terrestrial Oceanic basalts. showing remarkably little variation. diagram of data from a single good analyst, eg Eugene Jaroscowitz of the Smithsonian Institution, show even less scatter with almost constant MgO-SiO2 ratio. La/REE for ~ 60 replicate analyses of the Allende Mexican carbonaceous chondrite. Note the many missing Ce and Nd. Some "Dark Patches" have <0.2 ppm La. This range covers more than half the reported values for 500 chondrites. The wide inter-laboratory and inter-sample scatter seems to be due to minor local sample variations, and the practice of analysing as little as 60 mgm of sample. It is asking rather much to expect 60mgm or the width of a micro-probe beam to adequately represent the entire solar system! The real range of all chondrites may be between 0.3 and 0.5ppm La. Given adequate sample, chondrites may be quite constant for most elements. SiO2 vs Oxides for all chondritic meteorites. This was obtained after editing out about 60 analyses which summed to 70 to 95% (possibly due to high water content) and deleting many "mafic inclusions" etc some of the "dark patches" of the Allende meteorite which cause many if not all of the points trending towards zero. Many of the outlying points appear to be from poor data. The two tails extending towards zero are those of high water content, usually carbonaceous chondrites. All FeO, FeS and FeM have been recalculated as FeO. The divisions seen in FeO MAY be the classified low iron - high-irons but a clear separation only occurs in this diagram. Some people appear to term "High Iron Chondrite" on the basis of metallic iron only. These figures are from samples which have been graphed and most oddities rejected, and based on the arithmetic means of acceptable data. If the impetus of ejection allow a separation of lighter gasses from heavier elements, it is possible some slight separation of LREE and HREE occurred also. The Ce/La ratio is 2.7 with scatter possible due to the low levels and lower precision of data produced in the pre ICPMS era. La/Sm for about 500 chondrites. |___| La/Lu The ratio is ~10 but again at the very low levels of Lu, (0.02 - 0.05 ppm) together with the iron and MgO dilution effect reduces the reliability. There MAY be variations within the group but we do not have enough sets of complete data. This ratio, so constant in terrestrial rocks between 48 and 52, in the chondrites shows considerable scatter averaging 30. There are few data and whether the scatter is due to imprecision of at such low levels, we do not know at this point. The major elements show few correlations , even a dilution effect with iron is not very well marked, being obscured by sample size variation, so that elements such as Ti, Ca, Al, Na, K, simply form clumps at a range of iron levels. Nickel shows a very slight negative correlation with Mg, and a good positive one with Fe as does Co. V is fairly constant near 60 ppm. As metallic Fe is often not determined and as most major elements are done on different aliquots to the trace elements we cannot recalculate to a common FeO. Silica, contrary to terrestrial experience, shows a positive correlation with Mg. These generally show Sr > Zr > Ba > Y = Rb > Nb, more enriched that seen in terrestrial NMORBS where usually Y > Ba > Nb > Rb. However, an original chondritic mantle has lost the potassium-group element now found accumulated in continental crust. Zr vs Alkaline earths for chondrites. By terrestial standards, Rb is relatively high. Constant Element ratios Throughout the Solar System. The ratio averages 3.3 compared with the common terrestrial ORB ratio of 4. Levels are extremely low at about 0.015 U, and while there are a few wild points, at this level these are to be expected. Os/Ir,Au for chondrites. Os/Ir seems constant at 1, but for all division of chondrites, the odd apparent step in the Au levels is seen. Os and Ir appear to increase along with La, to a maximum of 2000 ppm and higher values are from iron separates. As well as PGE, the Ni, Co, Te, Se, S is concentrated with the iron. One group of chondrites appears to have higher Os/Ir. Os/Ir is very low in terrestrial rocks, having apparently been concentrated in the Fe-Ni core. Other element pairs may show a constant ratio throughout the entire solar syestem, thus Y/Yb = 10, not only in chondrites, but in HEDs, Lunar, and most Martian and terrestrial rocks. We also find Ho/Er = 3; Ho/Yb = 3; Ho/Tm = 2.5; Gd/Ho = 5; Yb / Lu = 6.66. These are potentially very useful in distinguishing different parentages, but, as may be seen in the SNC Martian Group, many parentages may be possible, but incomplete data means that nothing positive can be done. Of 500 chondrites analysed for SOME REE, only about 20 have been done for all, and there appears to be exactly one complete set of REE for all the enstatite chondrites. The alternative is to average large groups on their La content. In general, low La rocks have lower La/Sm so we might get something significant. REE average for 500 chondrites showing actual concentration levels. Also shown is the standard Chondrite by Sun & McDonnough,(1989) and the almost identical CI chondrites of Palme & Beer,(1993) and of Anders & Grevesse (1989) which the latter have later claimed to be almost identical to the composition of the Sun's outer corona. This claim has be viewed sceptically as they go to great pains to explain away the high iron content of the sun and because only 2 CI chondrites are known of a total weight of 0.04kgm. As chondrites of all compositions have been accreting in the last few million years, it is difficult to see why a single unusual type should have been more important then. Only the also rare enstatite chondrites are close to it in composition, all others are more enriched, the average being, as shown, 30 to 50% more enriched in LREE. It would seem necessary to define a new chondrite standard. REE normalised to E-type MORB, averaged into five divisions based on their La content. The diagrams is not as good as might be as while there are 500 samples done for La, only 184 samples are done for Ce, 60 for Pr, and 65 for Tm. Pm is interpolated. Shown this way, the La/Sm is virtually constant. The currently accepted Standard Chondrite lies near the low enstatite chondrites, and is about 30  40% lower in REE than the mean found here. Notice that the mean coincides with the 0.2 to 0.3ppm La group and that chondrites are more enriched in LREE than most NMORBs. In other words the upper mantle (if once formed of chondrite) must have undergone considerable depletion since before the NMORB rocks of the Archaean were formed. Both alpine peridotite and wehrlite-lherzolite inclusions in alkaline lavas have only 1/3rd the FeO seen in average chondrites but when metallic Fe is removed ( in those samples for which it has been done) we are left with 8% FeO, the same as in Alpine peridotites. Apart from the presence of a few percent of graphite, these seem to have no other differing characteristics. The range in iron is wide, from 0  35% FeO but the average as metal is only 2.4% and they are often favoured as a parental material because of the presence of amines in the carbon. It must be pointed out that 99% of planet Earth could be carbon free, and one amine-bearing meteorite arriving after cooling and after oceans and an equable climate was established, could be enough to start the carbon cycle going. However, the high CO2 of the Archaean atmosphere suggests a substantial proportion of carbonaceous chondrites in late arrivals. REE diagram for carbonaceous chondrites. Of 970 partly analysed samples, 230 include some REE but mainly only for La, Sm, Eu Yb and Lu. By interpolating Pm and any other missing element for which the two adjacent elements are present, we are able to derive a workable if rather ragged representation of these all important members of the original solar system. It is found that the lower boundary of this array coincides with the standard "Chondrite" of Sun & McDonnough (1989), and the upper boundary with the "Parental Mantle" values. Whether this is due to the limited amount of data available 15 years ago, we do not know. It would seem the Chondrite standard should be a mean of all values and the "Parental Mantle" a somewhat depleted version of it. The carbonaceous chondrites show a wide range, eg from 0.58 to 1.55ppm Ce, BUT the ratios La/Sm = 1.7 and Zr/Nb = 15 remain the same as seen in Eucrites and HEDs in general, as well as in the L-Type (=low Fe) and H-Type chondrites. The flat disposition of REE at such depleted levels is never seen in terrestrial rocks. In spite of the fact that terrestrial basalts have not changed in composition in the last 3.5 byr at least, the Earth's mantle has much lower iron, (8% vs ~ 25%) , higher silica, and is more depleted in LILE that the average chondrite. Chondrite Zr/Nb of 15 is equivalent to a terrestrial OIB tholeiite, but contrasts with depleted NMORB which are high degree partial melts with Zr/Nb, of 25 to 100 or more. 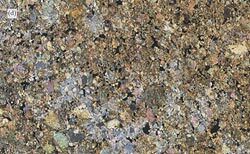 Marked by chondrules with enstatite or clinoenstatite, the rocks given this name seem to have highly variable but usually with very low FeO with an average metal content of 20.1% and MgO of 20.1% also. Their initial temperature of formation may have been higher, and in general they are highly reduced. H-Type have an average metal of 14.34% and FeT 26.75% so the difference is mainly one of oxidation potential, other characters being similar. Ternary diagram of ORB olivines and CFB orthopyroxenes. It happens that the average chondrite is intermediate between these two minerals in it's major elements, this is pure chance and happens because of the relative stability of these elements in the sun's photosphere, which results in a similar Si-Mg-Fe ratio. However both these minerals do not trend towards pure Fe as chondrites do but towards fayalite (Mg2SiO4) and ferrosilite (FeSi3) which lie on the Si-Fe axis. The result is that the chondrite axis lies obliquely to the mineral one as can be see when comparing with the chondrite ternary diagram. So it is not surprising that nakhlites, lodranites, and even the Earth's mantle are olivine orthopyroxene mixtures and that ol and opx are the first major minerals to form in chondrites. Low-Fe (reduced) chondrite lies almost on pure magnesian Opx while the more iron-rich cross the more ferriferous olivines. One might suspect that reduced chondrites would first form enstatite and the more FeO-rich would form olivine, and from the chondrite mineral data this appears to be so. It may also be that both minerals are more magnesian than the bulk chondrites from which they form as happens in basalts. However, as metallic iron and FeO is so often not distinguished in the available data, we cannot be sure. 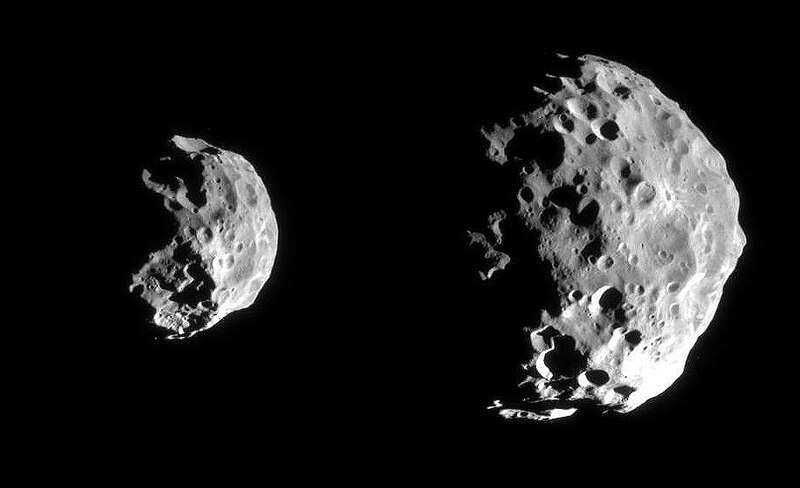 These quite evolved meteorites are generally thought to have an origin in one of the larger planetoids and spectrographic comparison suggests Vesta, though they are more LILE-enriched than the much larger Mars. They have the highest LREE and LILE content of all meteorites. The mineral separation is extreme, the eucrites being mainly pigeonite-calcic plagioclase and the diogenites mainly orthopyroxene. Eucrites have by far the highest REE-content of any meteorite with up to 6.75 ppm La and 18 Ce. These are polymict breccias, being mixtures of eucrites and diogenites. REE diagram for 90 Eucrites. Many more have been analysed, but only for at most 6 or 8 of the REE. Most of those with 2 or more consecutive gaps in the data were rejected and of these all the Pr and many other missing values have filled in by interpolation to provide at least some continuity. They are rather similar to EMORBS, but the low HREE is not usually seen in terrestrial rocks. Considering their weird mineralogy, the fairly conventional REE is surprising. The La/Sm is fairly constant at 1.7 and the La/Lu rather more varied. Zr/Nb is quite constant at 12-15, compatible with the La/Sm indication of a tholeiitic rock, and the Th/U of 3.5 is quite standard. All show an Eu anomaly suggesting these rocks have LOST plagioclase. Ages are given as 4.43 to 4.55 byr. The composition is quite silca-rich with an average in 157 samples of 48% SiO2; 12.2% Al2O3; 18% FeO; 8.0% MgO; 9.93% CaO; 2.11% Na2O and 0.112% P2O5. As in most Lunar and all Martian and other meteorites samples, they are remarkably iron-rich considering the low Ti and P.
These are formed of mainly orthopyroxene (up to 1 cm size) and minor olivine with Fs, Fa varying from 21-35%. An average of 62 Diogenites gives SiO2 52.2; 1.38% Al2O3; 16.2% FeO; 26% MgO; 1.56% CaO, 0.07% Na2O. Such rocks are not as yet known from the Terrestrial mantle where FeO appears to be consistently about 8%. The diogenite REE patterns progressively vary from NMORB to mantle, but remain at least twice chondrite levels for the LREE. Again there are so many gaps in the data a diagram is barely worth showing. REE distribution for all HED meteorites. The scatter in Ce and the occasional Nd>Ce is highly suspect, but otherwise a common terrestrial ORB pattern. Zr/Nb for all HED meteorites. This is the same as seen in Chondrites as well. La/Sm of 1.7 is common in terrestrial ORB basalts, in spite of the very different mineralogy and high iron seen in the HED's. It is all the same as seen in Chondrites. MgO variation diagram for the HED series. Note some variability in the plag-pigeonite ratio in the eucrites. This may be real or be due to small sample sizes. CaO variation diagram. Due to the 52% silica content of orthopyroxene, the silica content, (not shown) decreases with fractionation. The high FeOT trend towards an Opx of Fs70-75 forms a trend that has double the FeO of any trend seen on Earth, though the resulting eucrites are somewhat basaltic in composition. In general none of the trends seen in the Vesta? HEDs, nor their close relationship with the chondrites is seen in any terrestrial sample. As there appears to be no plag separation, the negative Eu anomaly seen in the REE is a mystery, unless Eu++ is taken into Opx. Combined ternary diagram of all chondrites, diogenites, howardites and eucrites. The diogenites are virtually pure orthopyroxene cumulate. Considering that many of the samples are polymict and monomict impact breccias, the association between the HED series and the probably parental magnesian chondrites is remarkable. The diogenites are extremely depleted in REE, possibly the most depleted silicates known. Data are very patchy without a single complete analysis, the complete lines containing many interpolations. The more basic are considerably below the most depleted chondrites as we would expect, being basic cumulates. However, the odd feature of the negative europium anomaly seen in the eucrites continues into the diogenites in spite of the lack of involvement of plagioclase. The most depleted are more depleted in LREE but not to the relative LREE/HREE extent seen in clinopyroxene or NMORB. There is little good REE data for terrestrial OPX unfortunately. Meteorites identified as originating from the moon, show typical Lunar REE patterns, quite flat and much more LREE enriched than those from Mars. Iceland, (see GEOKEM, Atlantic OIBs) shows very similar patterns. Like the chondrites, Lunar basalts are very depleted in Na, K, Rb, Ba, Cs, except in the rather rare "KREEP" basalts. Data is extremely patchy and all Pm, and most Pr, Tb, Ho, Tm have been interpolated as otherwise no sense can be made of it. Many samples are shock-melted impactites and compacted breccias of Lunar regolith. Few if any represent original primary rock. The lower depleted anorthosites showing the strong Eu positive anomaly, contrast with the Mare basalts at top showing the negative Eu anomaly. A Martian shergottite from Los Angeles. 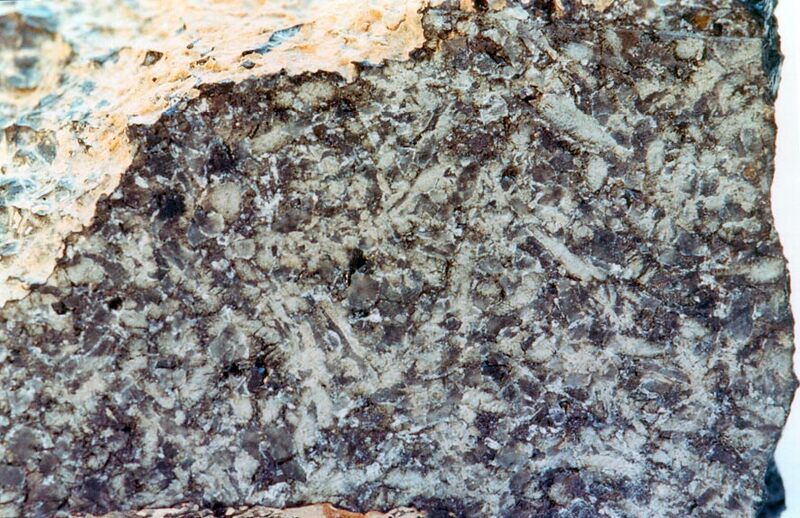 The large greyish crystals are maskelynite or shocked plagioclase along with a pyroxene, mainly pigeonite. REE Diagram for Martian SNC meteorites normalised to Terrestrial EMORB. The data are very incomplete, the majority of the REE determinations being for 4-6 elements only. By eliminating most of those where two or more adjacent elements are missing, and by interpolating all Pm and other single missing elements, we are able to get at least an approximate picture. The bulk of the samples are Shergottites, which probably represent the bulk of the Martian unmodified surface, a high iron peridotite with an LILE content ranging from roughly EMORB to NMORB though the shape of the REE distribution is not one commonly seen on Earth, being rather more domed. Two other trends both with elevated relative LREE are seen. The three samples with the lowest HREE at about 0.04 EMORB with La = x .07-x .08 EMORB are Chassignites. The other group with Lu at 0.08 EMORB and La at ~0.4 EMORB are the Nakhlites. The only process definitely known to change the La/Lu ratio is differing degrees of partial melting. We might guess that the Chassignites and Nakhlites are derived from Martian basaltic volcanoes. La/Sm for Shergottites (excluding the nakhlites and chassignites). The two trends shown at upper left are the most depleted in the solar system, but COULD be artificial due the very small samples sizes analysed in a peridotitic rock. These were obtained by separating and averaging a total of almost 100 partial analyses of shergottites. They are more or less similar to the three prominent trends seen in La/Sm amd La/Lu diagrams. Peridotites which are supposed mantle rocks of the Earth do not show such distinct trends. Only pure minerals such as clinopyroxene show such depleted trends on Earth. Ternary Si-Mg-Fe diagram for the Martian Meteorites plus all chondrites. Note similarity to HEDs. This suggests, that despite the very depleted LREE in the Martian samples, that Mars may also be derived from low-Fe chondrite. Cumulative high olivine-orthopyroxene members equivilent to the diogenites are missing. Martian Orbits as seen from Earth. More than 2000 years ago Ptolemy at the University of Alexandria, found the only way he could explain the curious paths of planets like Mars, (which seemed to go backwards and forwards in the sky, and then shift further round the sun) was to assume it moved in small circles which rotated about the much large circum terrestrial circle. The major error was to assume the earth was stationary as it seems to the senses to be. A member of clan Gunn, one, Arthur, has computed the paths of the planets with an error of not more than 2 arc-minutes over the next 2000 years. The actual path of Mars relative to the Earth is as shown below. The variation in distance between Earth and Mars is enormous as the distance can vary from the minimal orbital distance, to that plus twice the value for the earth's distance from the sun, when we move round to opposite solar positions, ie from about x solar units to y solar units. The path described is close to a cardioid, but slight distorted due to the slightly elliptical shapes of the orbits. The program P-Cubed (Planetary Path Program, or/ Solar System Simulation) can compute the position of any planet and some comets for any date. The Horoman Peridotite from NE Japan is a good example of possible mantle composition. Note the dunite-harzburgites are considerably more magnesian and lower silica and Fe than any chondrite. They are also higher in Al2O3, CaO. However, assuming a rare highly reduced chondrite with low FeO and high metallic Fe, a composition approximating that of the undifferentiated Earth might be found. Homogenising the crust, mantle and core still seems to leaves some discrepancies, eg, the average chondrite has about half the Ca-Al of the more enriched Horoman peridotite, eg see under "Compositions of Mantle and Crust". |__| Neptune being much further from the sun is not so much affected by addition and subtraction of Earths Orbital differences. The minimum and maximum interplanetary differences range from AU to AU.